Масло BP Visco 5000 5w40 SN/CF A3/B3/A3/B4 (1л) синт. Масло BP Visco 5000 5w40 SN/CF A3/B3/A3/B4 (4л) синт. Масло Castrol ATF DEX II Multivehicle (1л) мин. 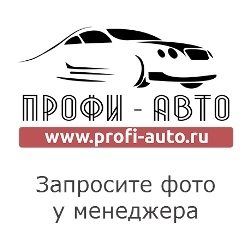 Масло Castrol ATF Multivehicle (1л) синт. Масло Castrol Axle EPX 80w90 GL-5 (1л) мин. Масло Castrol Edge Professional Titanium FST 0w30 SL/CF A1/B1 A5/B5 Volvo (1л) синт. Масло Castrol Edge Professional Titanium FST 5w30 SN/CF A5 Land Rover (1л) синт. Масло Castrol Edge Professional Titanium FST Longlife 04 BMW 0w30 SN/C3 (1л) синт. Масло Castrol Edge Professional Titanium FST LongLife I BMW 0w30 SL/CF A3/B4 (1л) синт. Масло Castrol Edge Professional Titanium FST LongLife I BMW 5w30 SL/CF A3/B4 (1л) синт. Масло Castrol Edge Professional Titanium FST LongLife III AUDI 5w30 C3 VW 504.00 / 507.00 (1л) синт. Масло Castrol Edge Professional Titanium FST LongLife III VW 5w30 C3 (1л) синт. Масло Castrol Edge Titanium FST 0w40 SN/CF A3/B4 (4л) синт. Масло Castrol GTX 5w40 AP SM/CF A3/B4 (4л) синт. Масло Castrol Magnatec 5w30 AP SN (1л) синт. Масло Castrol Magnatec 5w30 SN/CF A5 допуск Ford (1л) синт. Масло Castrol Magnatec 5w40 SN/CF A3/B4 (208л) синт. Масло Castrol Magnatec 5w40 SN/CF A3/B4 (60л) синт.